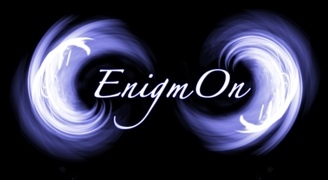 Here you’ll find a walkthrough for the game EnigmOn, with hints, help and solutions. If the hints aren’t enough, ask in the comments section. Looking for the EnigmOn 2 walkthrough? Scroll down for the full version. Level 1: Hold and use your phone as though it were a key. Level 2: Position your phone to make the bat go to sleep. 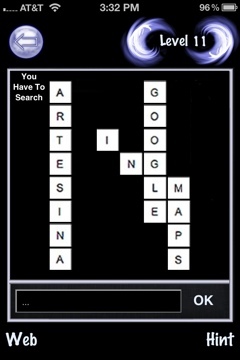 Level 3: Swipe the upper right corner of the black screen to get the answer. Level 4: Blow into the balloon until it hits the tack. Level 5: Answer the incoming call. Tell him your name and let him finish speaking. DON’T HANG UP! He’ll start talking again. 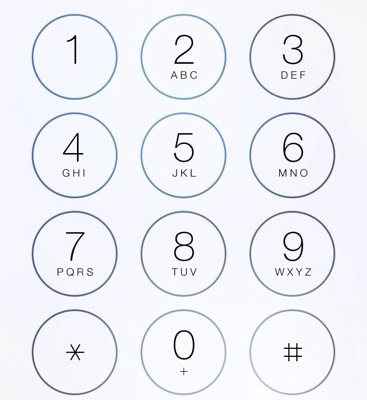 Eventually a box will appear to type in a phone number. Put 4815162342 and call the number. Level 6: Use headphones to hear the clicks as you turn the dial (right, left, right). Level 5: Press the home button. When you come back to the game, you should be able to go to the next level. Level 6: Turn the phone upside-down and look at it in a mirror. 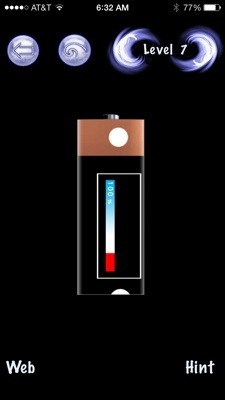 Level 7: Turn the battery around until you see this, then place a finger on each white spot to charge the battery. Level 8: Use headphones to hear the clicks as you turn the dial (right, left, right). Level 9: Pink, Blue, Red, Yellow, Green. Level 13: Pretend you’re typing out the word “six” on a number pad. 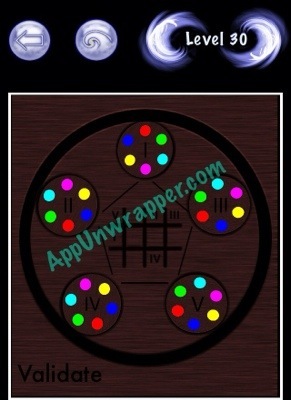 Level 15: If you’re on an iPhone, it’s a 6-letter answer. 😉 Drag the board around to find letters. 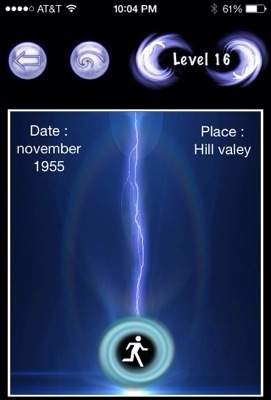 Level 16: This is based on the Back to the Future movies. You need to change the time on your phone to the time it was when he went back in time. 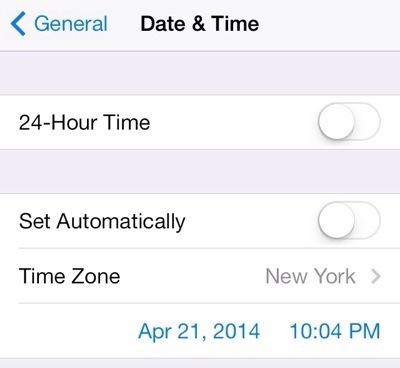 If you’re on an iPhone, you change the time by going to Settings -> General -> Date & Time. Then, turn off “Set Automatically” and change the time to 10:04. You should see a little man on the screen now. 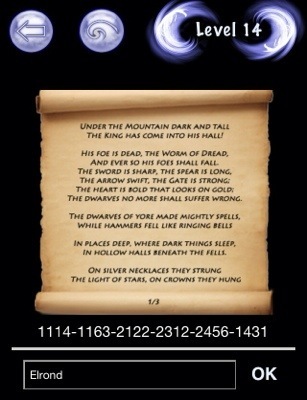 Level 17: Pay attention to the hint (Google Translator). Level 19: The bonuses are the first 10 digits of Pi. Level 21: Shake your phone to empty the bottle of soda and get the answer. 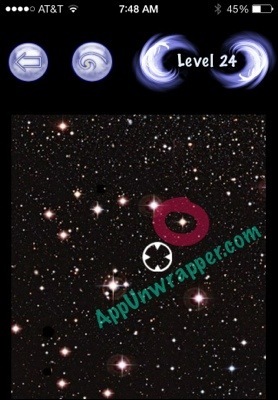 Level 22: Go back to level 5 and tap on one of the smaller iPhones to get the answer. Level 23: Answer the incoming call. Tell him your name and let him finish speaking. DON’T HANG UP! He’ll start talking again. 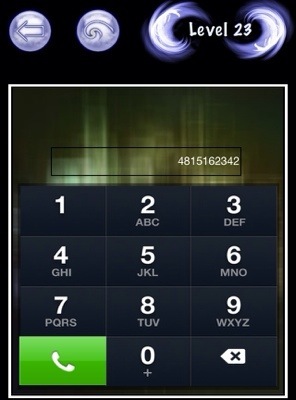 Eventually a box will appear to type in a phone number. Put 4815162342 and call the number. Level 25: Turn on the hot water and let it run until the answer appears on the mirror. 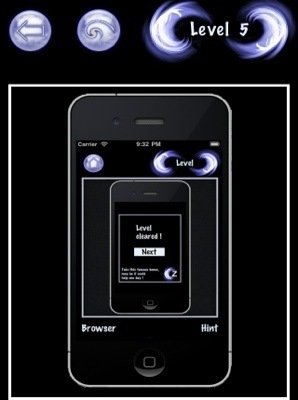 Level 26: Hold your phone with the screen facing down, and something will appear in his eye. That’s the answer. Level 27: The bunnies are exhausted. Help “recharge” them! (Don’t miss the result — it’s quite amusing! Level 28: This is from Indiana Jones. The Word of God is Jehovah, but you need the Latin version (IEHOVA). Start with the letters closest to you and keep moving on, as though you’re walking on those letters. 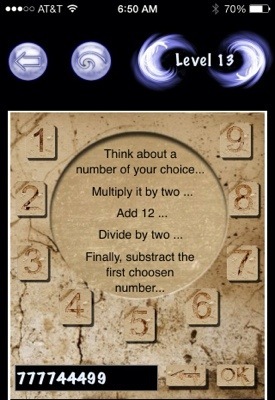 Level 29: The answer is at the tip of your fingers. Touch all five fingers to the screen to get five letters. 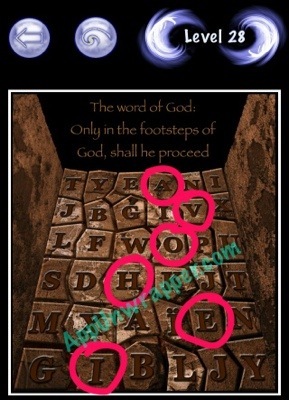 Scramble them up to make a word and that’s the answer. 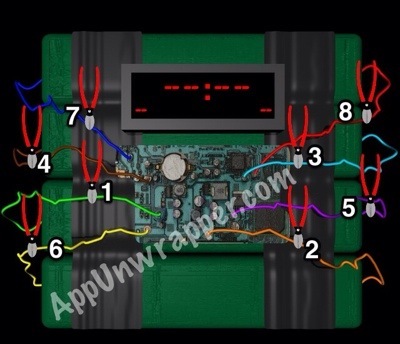 Level 31: First, change your Phone’s time to 10:20 to get the first part of the answer. Then change it to 5:55 to get the second part of the answer. Level 32: You have 2 minutes to disarm the bomb. If it explodes, you have to wait another minute to try again. If you just want the answer, cut the wires in this order: green, orange, light blue, brown, purple, yellow, dark blue, red. Congratulations! You completed the game! Make sure to check out Enigmon 2. 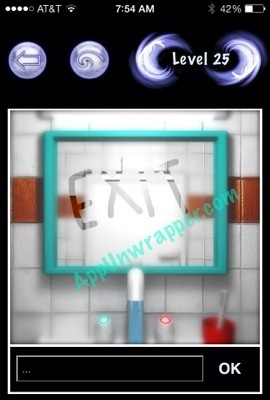 If you liked this game, try some of these escape games. Where is secret in level 12? How do i put it in? I’ve tried hitting the respective letters but I’m lost!!!! How pass level 7? There’s nowhere to type. I can’t complete level 7 please help!!!!!! Hi, I am on level 5, did the screenshot both on the phone within the app and on my actual phone. The latter seems to do nothing, but when I clicked on the phone within the phone’s home button it displayed a message that says “level cleared” abd a “next” button. Clicking next doesn’t do anything, though. 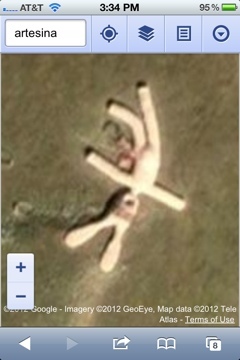 Have I solved it and it’s a bug or have I just missed something? Thanks for any help! Level 13 won’t work for me. What exactly do I do?